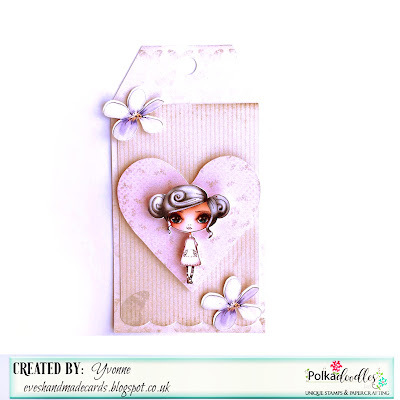 Julie - This week I have re-cyled the box that my iPhone case came in, using one of the gorgeous images from Winnie White Christmas. Coloured with Copics and filled with Chocolate coins. Yvonne - Hello! 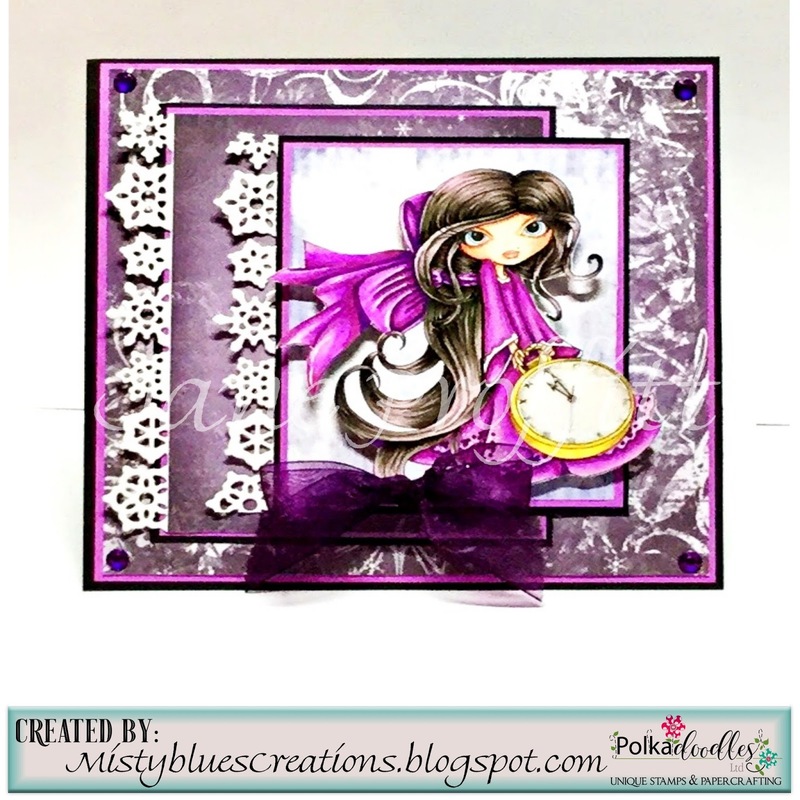 I am playing with Winnie Winterland Collection today. I used the precoloured image Fairy Christmas, which is available on the main collection but if you want the b&w digi, it can be found here. 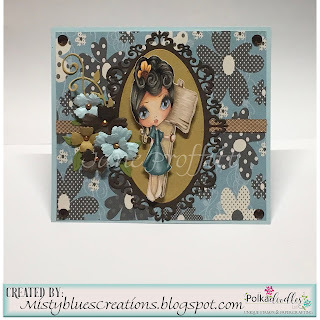 The papers are from the same collection as are the sentiment and embellishments. 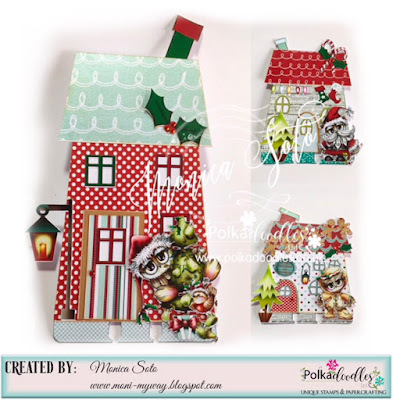 Jane S - I have used this gorgeous Christmas Robin with Stocking image that is available in the Winnie White Christmas Collection and one of the stunning papers from Winnie Winterland! 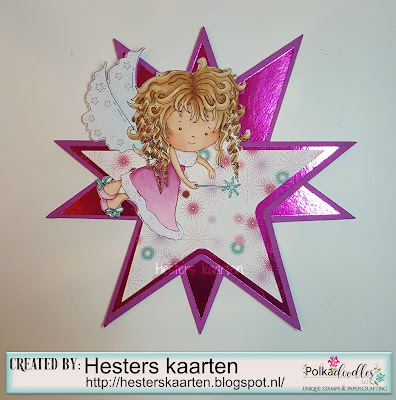 Katrina ~ I jumped out of the Christmas collections with my paper and went over to Winnie Starfish & Sandcastles! The Sentiment and Snowflakes are from Winnie White Christmas. 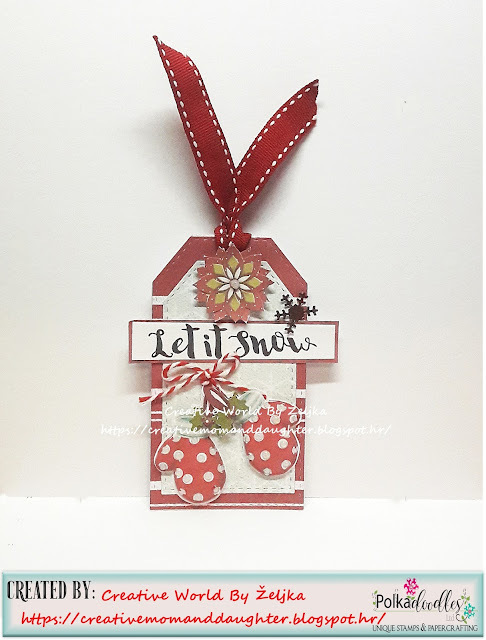 Anjie - I have used the Winnie White Christmas USB and the Polkadoodles Elegant Lamplight and Gate die set to make this bauble. Lots more info and details are on my blog which you can get to by clicking on my name. Željka-Hello!!! 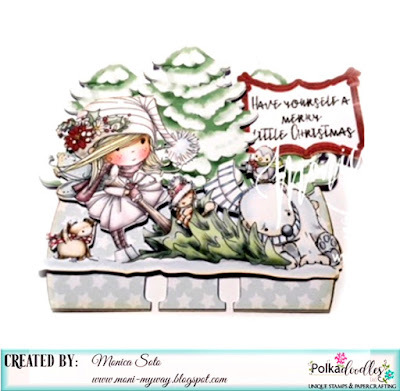 For this week I used so many beautiful goodies from Polkadoodles store...The snowman image is from Winnie Winterland - Digis digital and the papers are Baked With Love - Paper Heaven 1 and gorgeous notes paper from Belle Papillon Ephemera. Julia Hello There This week I tried to make a wintery themed card using sepia colour tones, I have used the precoloured January - Perfectly balanced and then I teamed it up with papers from Winnie in Winterland and the flowers and frame are from Winnie White Christmas I have finsished it off with some gorgeous embellishments from Polkadoodles you can find the pine cones here & the glittered large branch spray here full details on my blog. 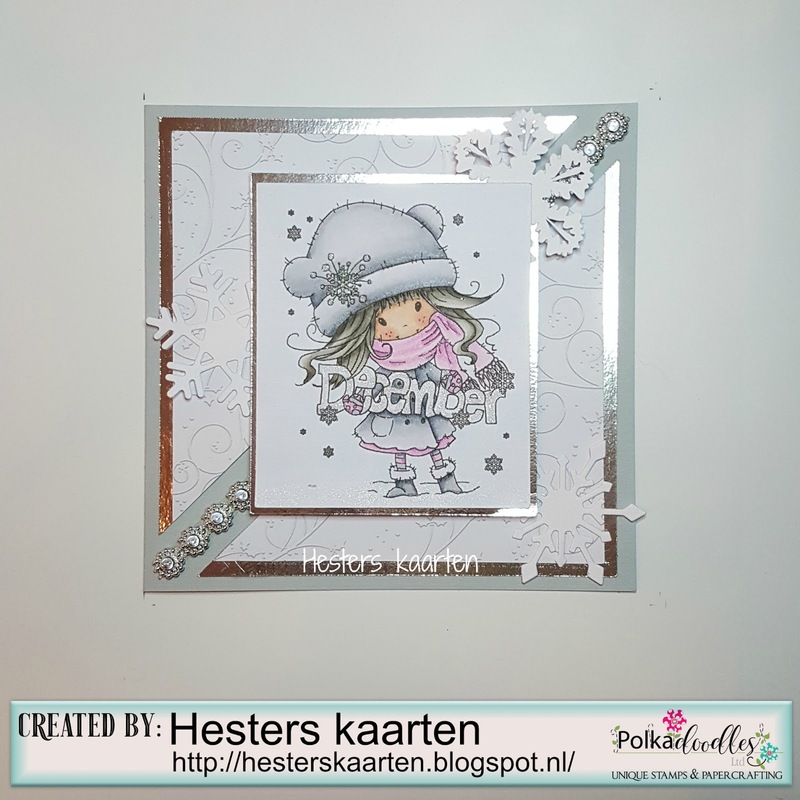 Jane P - My choice of collections this week was Frosted Winter Octavia. 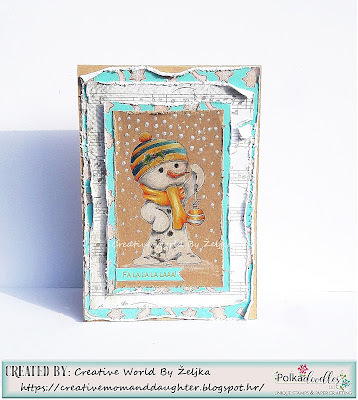 The colors are lush and you can create Christmas without using the traditional Christmas colors. ﻿Great work from the team as always! Claims must be received by 01/12/17, please refer to Challenge rules at top of blog. 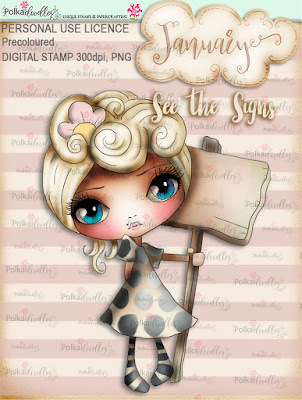 Please email us sales@polkadoodles.co.uk quoting DCW470001 to claim your prize of 3 digi images from the digi store! 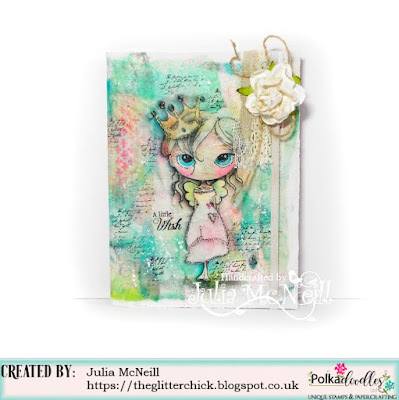 Julia Hi There today I have combined the Pre Coloured Ula be a Princess With the gorgeous papers from Winnie In Winterland I have added some lace, sparkly thread, micro beads and bits of a book page to give it a bit of a mixed media feel. 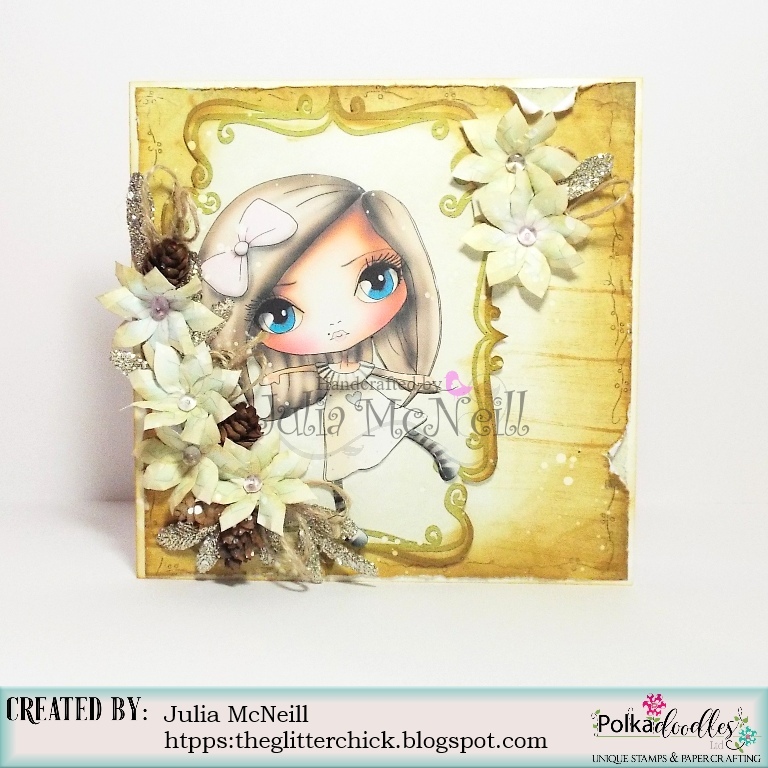 Full details are on my blog. Jane P -Winnie Sugar Sprinkles decided to bring a bit of a snack to the reindeer in Winnies White Christmas. She just loves these reindeer and thought he needed a snack! Monica for this challenge I made two sets of md´s (memorydex cards) for swapping. 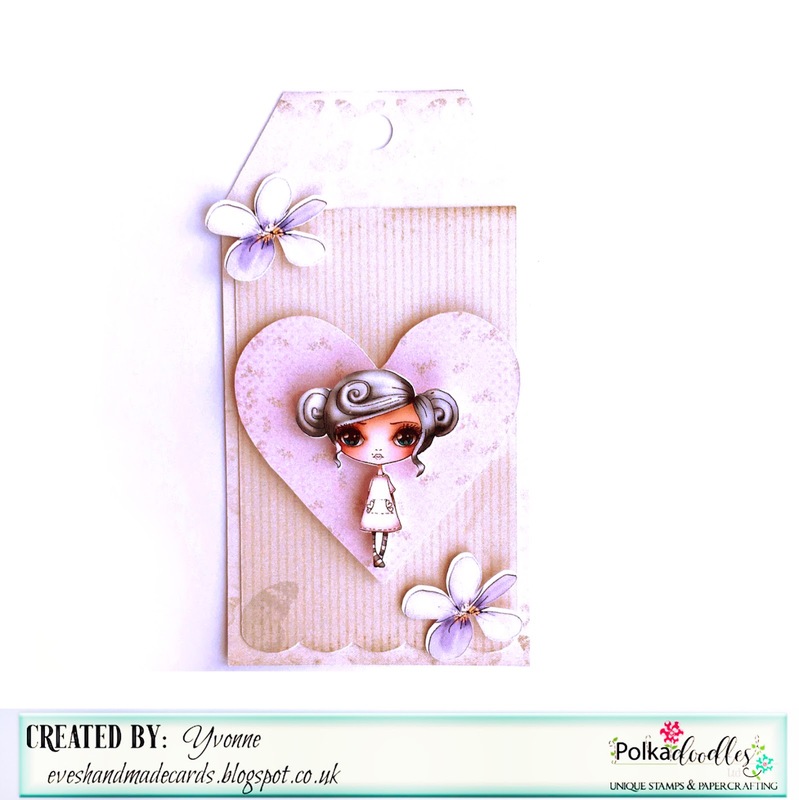 For the first one I used Winnies from Winnie White Christmas and from Winnie Winterland. 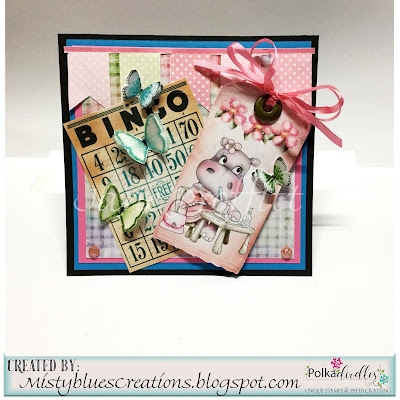 For my second set I used the always adorable Twiggy & Toots Festive Fun. 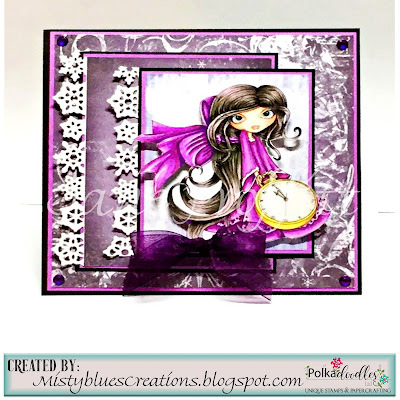 Julie - I have used an image from Winnie White Christmas to make a stepped accordion card, I kept it simple to showcase the lovely image which is coloured with Copics. Katrina ~ Winnie White Christmas is where I found these wonderful socks to make some "gift" tree ornaments! 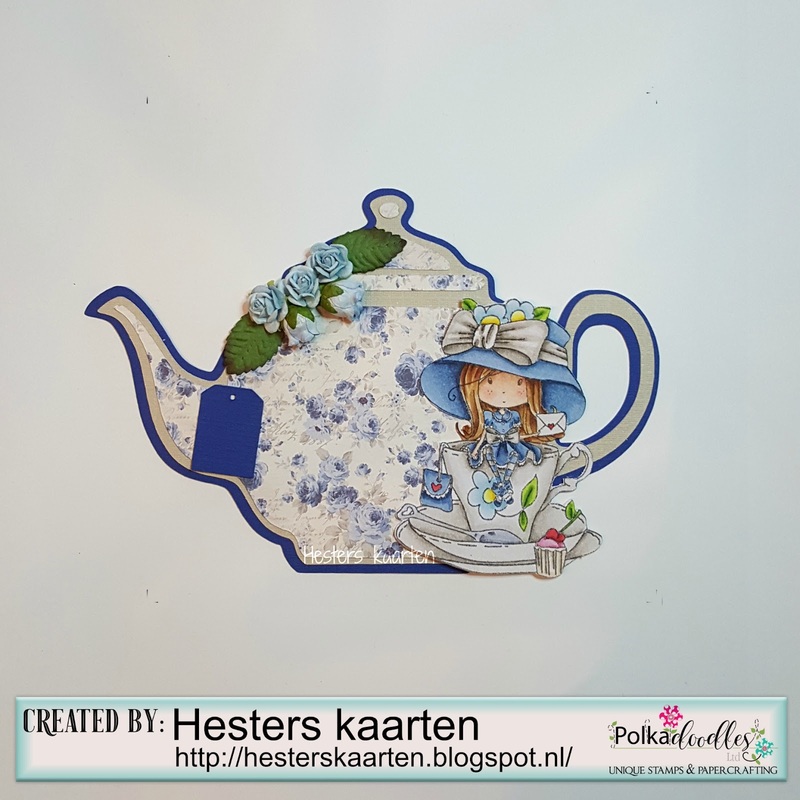 More on my blog. 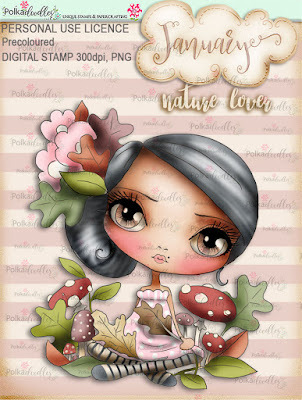 Anjie - I've used the Winnie Winterland collection along with some glitter card. 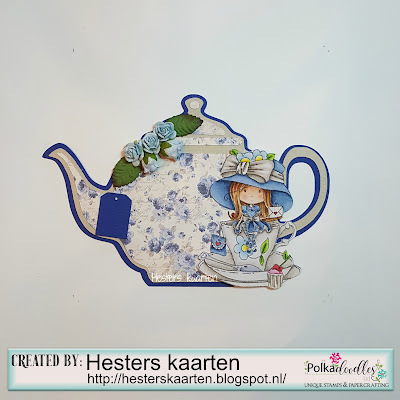 The topper and embellies are printed onto glossy photo paper and I have used the Bubbleicious Frame die from Polkadoodles to cut the topper out. Yvonne - Hello! 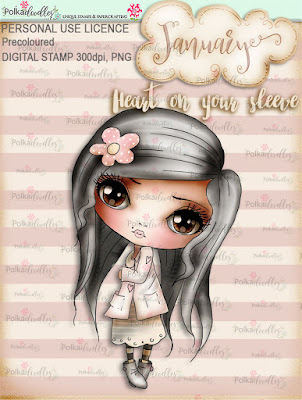 I decided to use Winnie Winterland - which is a fab collection and you can see the whole range here. 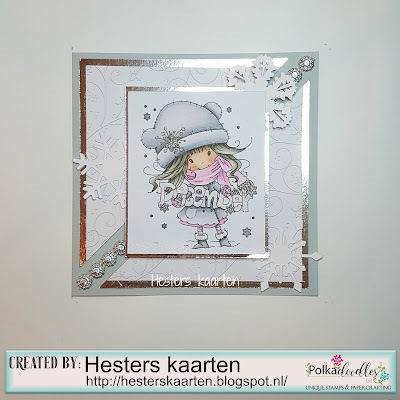 I made a easel card using the pre coloured image called Cosy Christmas which is available as a pre coloured image on the main download collection, but if you want just the black and white digi - you can get this here. 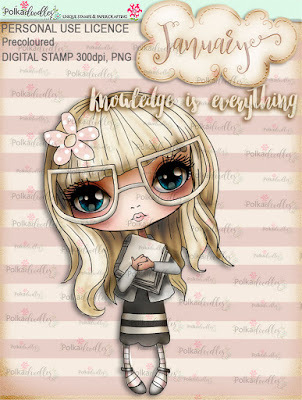 The papers are from the same collection, as is the sentiment and the little stocking embellishments. 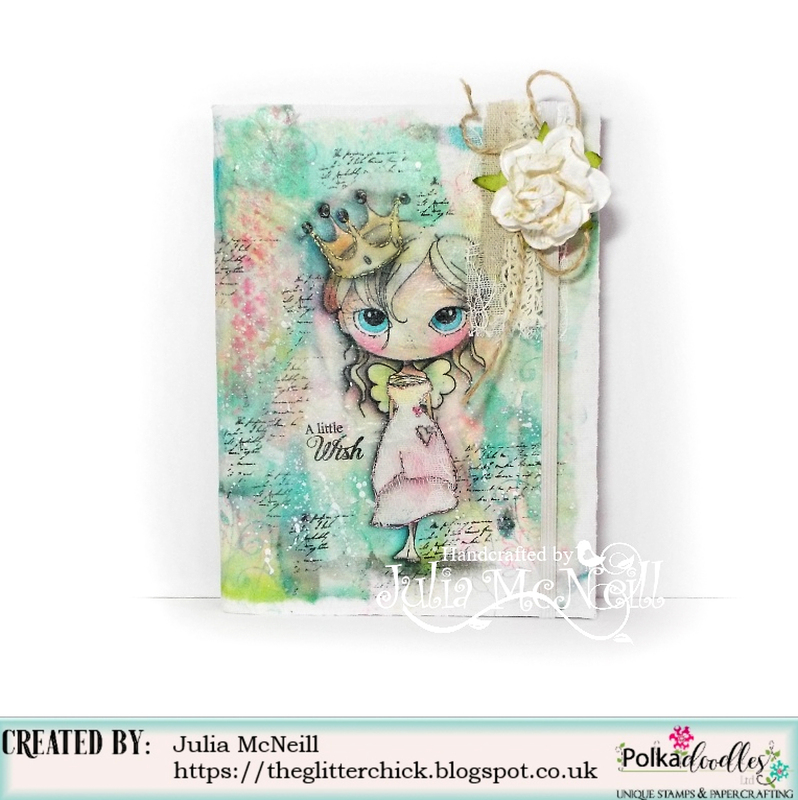 Jane S - I have also used the ever popular Winnie Winterland Collection! There are some fabulous 'couples' images included and I chose to use the pre-coloured Skating Around to make an oval card. Claims must be received by 17/11/17, please refer to Challenge rules at top of blog. Please email us sales@polkadoodles.co.uk quoting DCW450001 to claim your prize of 3 digi images from the digi store!